It’s not really a common secret that major telcos in Malaysia do throttle your torrent speed which causes torrents to be very slow to complete. This of course causes disappointment to many of us since the whole reason we want fast internet connection was to speed up our movie list, or perhaps our TV series collection. That’s where Virtual Private Networks or VPN comes in. Before I go on further, let me first say that all my explanations below are in layman’s terms. There are many VPN services out there, but Keypard VPN stands out because of two things; One is its simplicity of use, and two is its very competitive pricing. 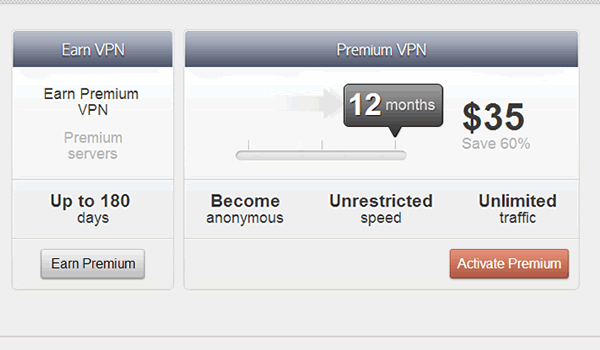 Both seem to be unmatched so far with search results yielding Kepard VPN as the best. At USD7 (RM23) per week, or USD37 (RM113) per year of subscription, Keypard VPN is indeed one of the lowest priced VPN services known to me to date. 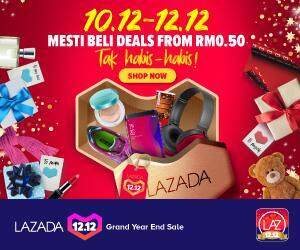 Others charge RM255 or more for a year’s subscription, so this is basically half the pricing. The bad news is that Kepard VPN does not have many servers, which means you might not be able to access content at certain countries. 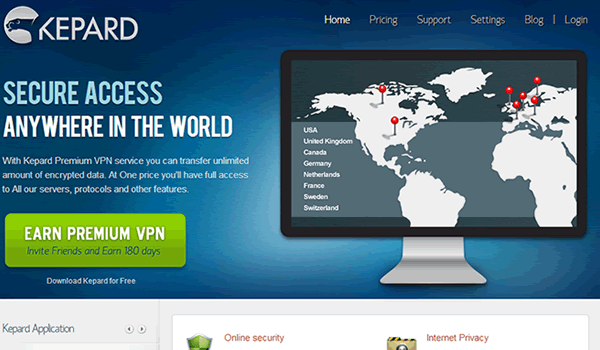 Kepard VPN has six servers with over 30 IP address, in five different countries: The United States, the United Kingdom, the Netherlands, Germany, and Canada. Changing your IP address and server is allowed without any additional cost, and at a simple click of a button. For torrents however, you will need to log on the Netherlands server as that is the only one available for torrents. In case you d not know what I’m talking about here, well, servers over VPN allow you to remotely access contents from a particular country because your internet connection will identify you based on which VPN server is used. For example, if you use the The United States server, you’d be identified as being in the US, and hence able to watch whatever is only for US residents only. One of the many reasons that customers have flocked VPNs are due to security reasons. Kepard a variety of protocols available including L2TP/IPSec, PPTP, OpenVPN, and others. These protocols can be used to transmit large amounts of data safely and securely. Nothing much else to say except for that it is safe and secure. Kepard’s customer support is not one of the greatest because they do not have a free 24-hour chat feature, or a call number you could dial to get in touch with them. However, their response over emails are great and almost instant, although having someone to talk to live would be of course much better. Aside from that, there’s also nicely arranged manuals and FAQs if you are keen on reading to find the solution of your problem. I am using a 4mbps internet connection and the results by Keypard VPN are promising when it comes to speed. However, the speed of access does depend on which server and country you choose to connect your network too. If you intend to download torrent, the server from the Netherlands would speed up your download best, while if you are streaming to the US, we have noted a cap of 2mbps on speed although this result didn’t reoccur on other times we made a connection. Regardless, the speed is impressive and steaming videos on youtube have been pretty smooth. 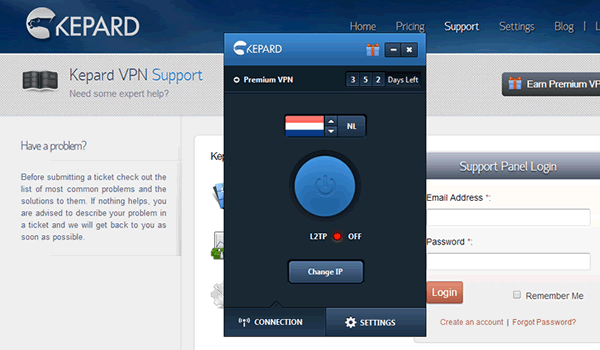 Features highlighted by Kepard VPN. If your computer is new, you will not have much problem configuring Keypard VPN on your system because it’s pretty much easy to do. The main Kepard software is also preety easy to download and install, so those unsure of how to use it would not find it troublesome. Fact is, I was totally new to Kepard and figured out how to use it within minutes. Keypard VPN is perfect for those wanting to speed up their internet, and stay safe while they are doing so. It is also good for those keen in downloading torrents, and those whom are cautious about price. If you are interested, of would like to know more, check out Keypard here.